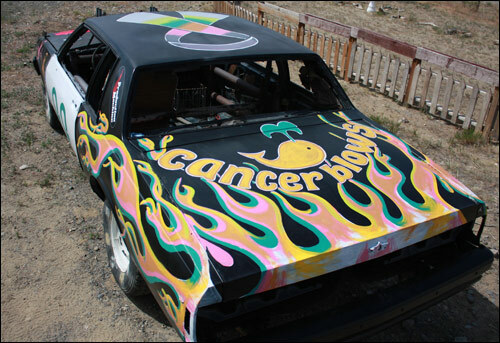 Our 2 year old granddaughter was recently diagnosed with cancer and I was lucky enough to find someone that was already doing a cancer themed car for the derby so they let me help paint it! 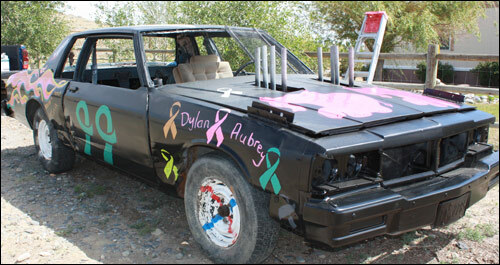 We’re doing fundraisers during the fair and the derby so I thought the cars might tie it all in together. I did the roof ribbon, whale and flames. Ran out of time on the wheels… we’ll have to go back and paint those. My cancer tribute was in support of our granddaughter, Mazie and in memory of my Great Aunt Norma Bowman – one of the most beautiful people I’ve ever known. 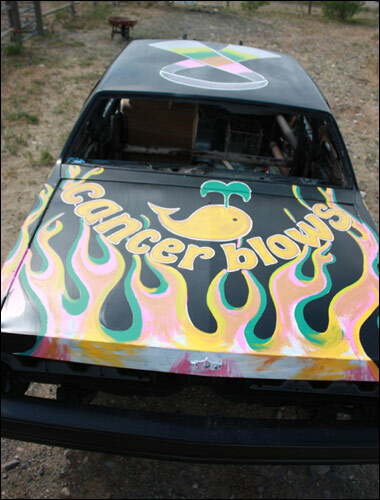 This entry was posted in DERBY CARS. Bookmark the permalink.